Benz, Yarrott. 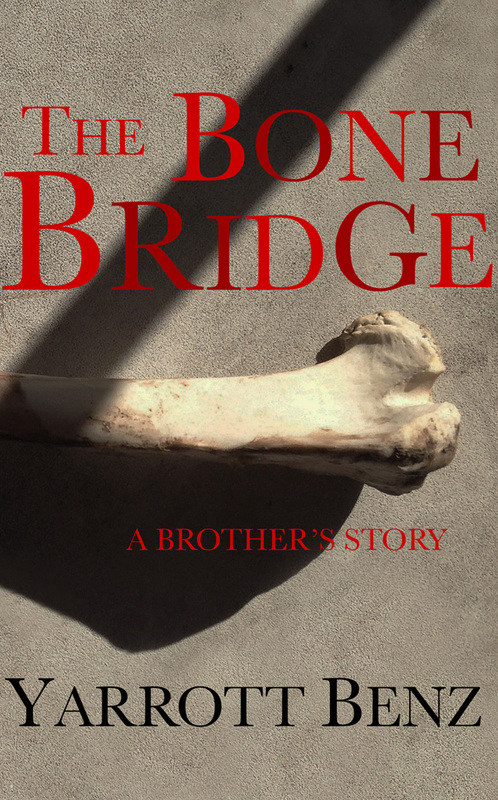 “The Bone Bridge: A Brother’s Story”, Dagmar Miura, 2015. One of the hardest choices that we are called upon to make often leads us into areas where we question whether or not we will do the right thing and then when it is over we again question if we did the right thing. This is what Yarrott Benz writes about in his new book, “The Bone Bridge”. Here he was faced with making a decision that required making self-sacrifice. This is the story of two brothers in their teens who are totally different and complete opposites. Charley had dark hair, an athlete and loved girls while Yarrott was blonde, artistic and questioned his sexuality. Aside from being related by blood, the two are trapped in a medical dilemma that involves what we refer to as a modern miracle and a nightmare. This is one of those situations in which victory is at a very high price. From what I have read and been able to discern, this is the only case like this and it took place over some thirteen years. Yarrott and Charley’s lives come together and the feelings that they share run the gamut from love to hatred, acceptance and rejection, respect and ambivalence. As the two brothers navigate through their enmeshed lives with all that they feel for each other we learn that Yarrott must bear the full responsibility of keeping Charley, his older brother alive. It all began in 1970 when that summer Charley was diagnosed with aplastic anemia, a rare blood disease and the only hope for his survival was to receive blood transfusions from Yarrott. The 70s were a time when people were eager to get and then to show their independence. However, these two boys were forced to depend upon each other if Charley were to stay alive. This meant that Yarrott has to put his individuality aside so he could save his brother and with that so went any hopes he had for the future (for a while at least). I have read many memoirs and autobiographies but there are very few that have pulled me like this one did. I actually sat down and read the entire book in one afternoon; I was so engrossed in the story and the people involved. Not only is this a beautifully written book, it is a book that is written with love for both what was and what could have been had things been different. Because it is such a human story it is also a raw story that is human in all of its aspects. It combines important themes—coming out, the medical establishment, the human condition, and freedom of choice, loss and homophobia. Here is the story of a brother who was living for two people and when his brother was gone, he still heard him and questioned himself as to whether or not he had made the correct decisions. This is not a story read with dry eyes and I must credit the author with the beautiful way he dealt with emotions. I was lucky enough to get an advance copy sent to me from the publisher but you will have to wait until March 15 to read this. Be on the lookout for it—it is truly an experience. This entry was posted in GLBT memoir and/or biography on December 23, 2014 by Amos. Can’t wait to read this! Sounds like a compelling and worthy story. Yarrott is a close friend and colleague. I read the book from cover to cover in a day. I could not put it down. My eyes were anything but dry though, at times, I laughed like hell through the tears. As said elsewhere, the memoir hit me with the impact of a major tsunami. I am still reeling and spinning in its wake. The memoir is nothing less than brilliant. Major marketing would almost certainly make it a best seller. Yarrott is a talented writer and his story needs to be told, to be shouted from the rooftops.